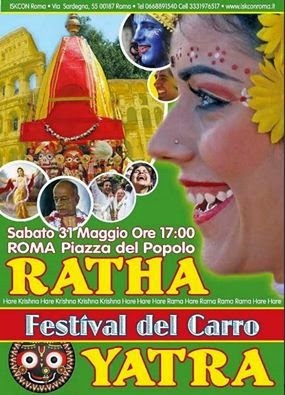 HISTORICAL EVENT FOR ROME: RATHA-YATRA IN THE CENTER OF ITALY’S CAPITAL FOR THE FIRST TIME! The route approved for the festival, Via del Corso, right in the prestigious center of the city, has never been assigned to any event , even famous mundane events! Lord Krishna surely used His powerful yoga-maya energy to all those who were to grant the various permissions, and finally it’s done!